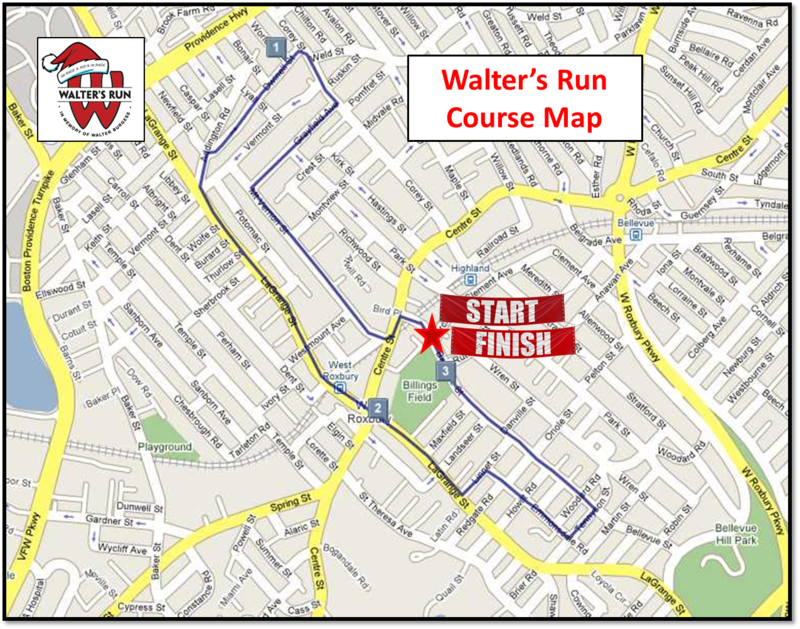 Walter’s Run 5k is a rolling route thru the West Roxbury neighborhood of Boston. Our accurate wheel-measured course is USATF sanctioned. We provide a water stop, mile splits and course security with volunteers and police. The race starts on Bellevue Street at the top entrance of the West Roxbury YMCA. Left on Centre, quick right on Mt. Vernon. Right on Grayfield, left on Corey, left on Dwinell. Mile 1 marker is just past the corner of Corey and Dwinell. Left on LaGrange, cross over Centre Street. Mile 2 marker is just past the corner Lagrange and Centre, at the Billings Field entrance sign. Left on Tennyson, Left on Bellevue. 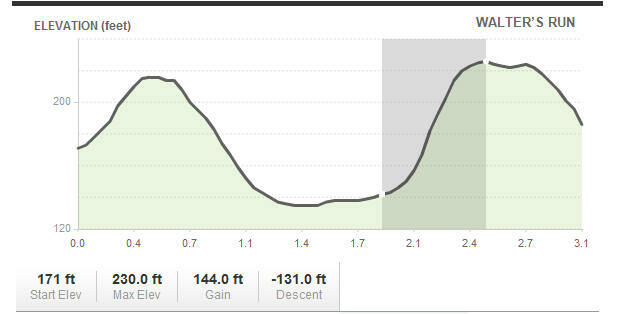 Long, fast downhill finish back at the YMCA!